Wolf Super End-Pin. 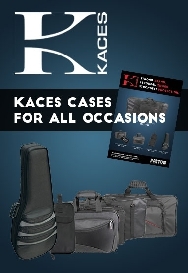 Suitable for Cello, Double Bass, Double Bassoon, Bass Clarinet, Double Bass Clarinet, Basset Horn and Bass Drum*. 4/4 Cello Endpin. Hardwood plug. Solid Pin. Solid nickelplated steel pin. Rubber tip. 52cm. Plug: Ø 24.5mm/26mm. 1/2 Cello Endpin. Hardwood plug. Solid Pin. Solid nickelplated steel pin. Rubber tip. 46cm. Plug: Ø 19 - 17mm. 1/8 Cello Endpin. Hardwood plug. Solid Pin. Solid nickelplated steel pin. Rubber tip. 39cm. Plug: Ø 17mm/19.5mm. 4/4 Cello Endpin. Ebony plug. Solid Pin. Solid nickelplated steel pin. Rubber tip. 52cm. Plug: Ø 24.5mm/25.5mm. 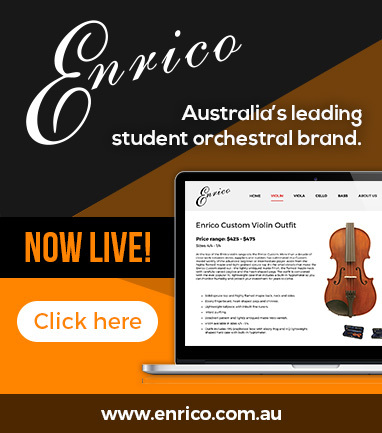 1/2-1/4 Cello Endpin. Ebony plug. Solid Pin. Solid nickelplated steel pin. Rubber tip. 48cm. Plug: Ø 18mm/19.5mm. 52cm Cello Endpin. Chrome. Plug: Ø 25.5mm/27mm. Ebony plug. Hollow Pin. 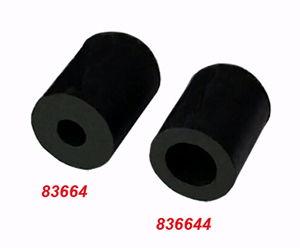 Hollow alloy pin. Corked lined. Rubber tip. 52cm Cello Endpin. Gold. Plug: Ø 25.5mm/27mm. Ebony plug. Hollow Pin. Hollow alloy pin. Corked lined. Rubber tip. 4/4 cello endpin with ebony plug, solid steel pin and round rubber tip. ebony plug with cork inlay; Ø 24.5mm/25.5mm. S olid nickelplated steel pin. Length 52cm Round rubber tip. 3/4 - 1/2 cello endpin with ebony plug, solid steel pin and round rubber tip. ebony plug with cork inlay; Ø 24.5mm/25.5mm. S olid nickelplated steel pin. Length 38cm Round rubber tip. 4/4 cello tube endpin with ebony plug, black steel tube and screw on sturdy rubber tip. ebony plug with cork inlay; Ø 24.5mm/25.5mm. S olid nickelplated steel pin. Ø 10mm. Length 63.5cm Sturdy "screw-on" cylindrical rubber tip with molded grip. Pin for Cello Endpin Assembly. Solid nickelplated steel pin. 52mm. Rubber tip for Cello Endpin Assembly. Screw for Cello Endpin Assembly. Nickelplated 6mm height adjusting screw.